Named one of “Who’s Who in Myanmar” in the Irrawaddy News, Hla Myat Tun heads up Colors Rainbow, a leading rights-based group working to protect the rights of LGBTQI people in Myanmar. 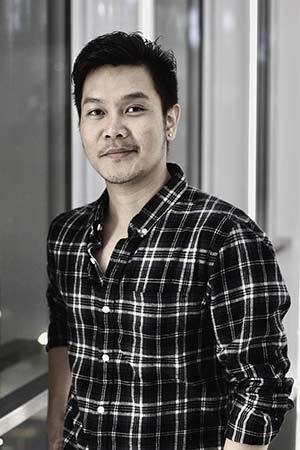 Continuously breaking new ground in a conservative country, he co-organized Myanmar’s inaugural LGBTQI film festival “& Proud” and is working with the Education Ministry to put gender identity and LGBTQI issues in high school curriculums. It may seem that LGBTQI rights in Myanmar are gaining ground as the country is opening up. To some degree this is true, but there is backlash from conservatives, and harassment of LGBTQI people by the authorities, including police, is a serious problem. Homosexuality is still officially illegal in Myanmar, banned under Section 377, a relic of British colonial law. “NLD lawmakers have shown greater respect of human rights, including LGBTQI rights, than the previous military government, which ruled Myanmar for almost 50 years. But lawmakers in favor of human rights do not have enough confidence to raise the issue of LGBTQI rights in parliament because they need more allies” said Hla Myat Tun. Partners Asia is supporting Colors Rainbow’s work in southern Myanmar with workshops on human and LGBTQI rights, community forums, and training for paralegals who are learning to navigate the Myanmar legal system. “Many people misunderstand LGBT communities as asking for special rights, but we are just asking for equal rights as human beings,” commented Hla Myat Tun. We are proud to support their courageous work.